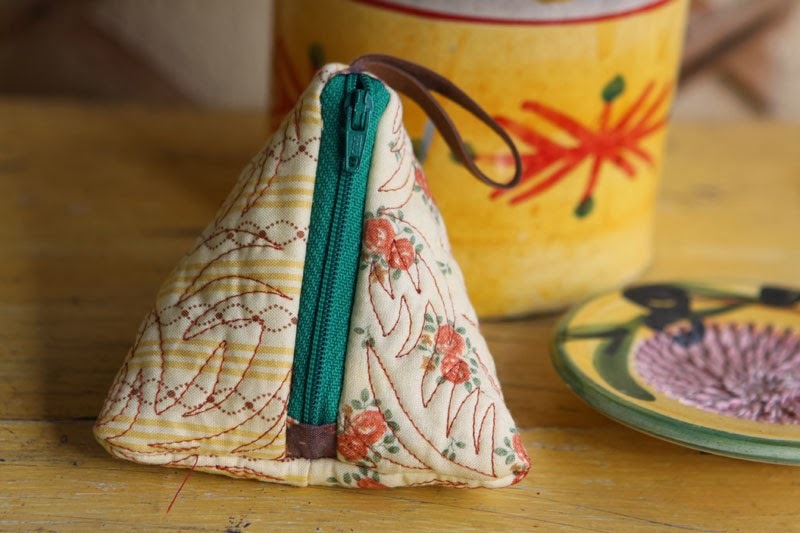 this lovely triangular pouch sewn and nicely quilted by Eleni. I use it to store my silver jewels. 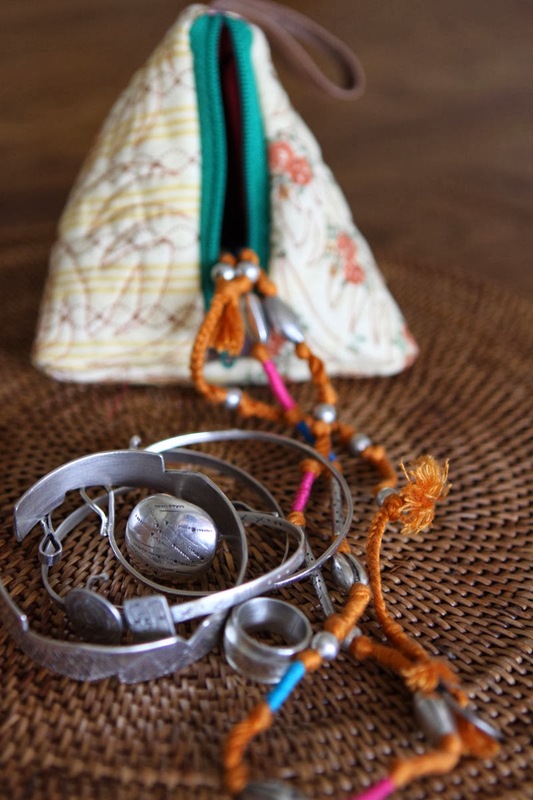 Those great silver jewels are created and hand made by Chantal. Tres mignon ce petit berlingot qui se prete a merveille a ces jolis bijoux d'une grande artiste..Belle rencontre de tous ces savoirs manuels qui donnent naissance a tant de belles choses !! 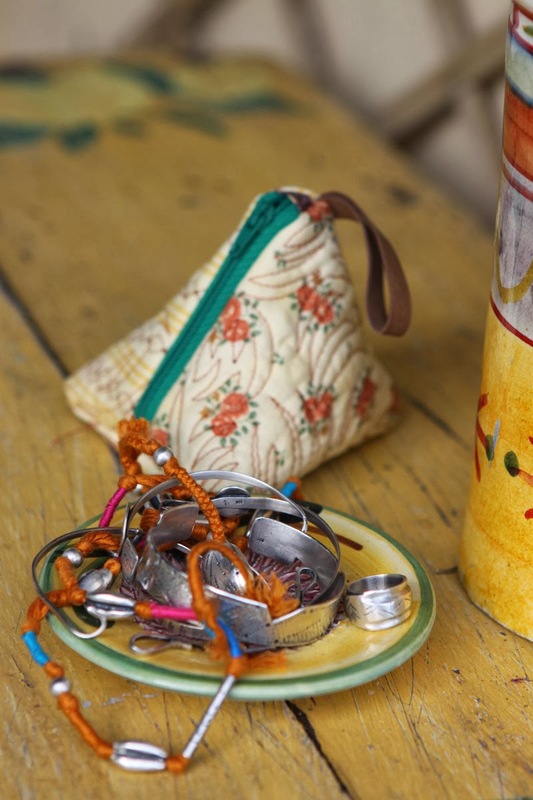 Very nice silver pieces, they remind me of the Southwest where Silver cuff jewelry and turquoise can be found everywhere. 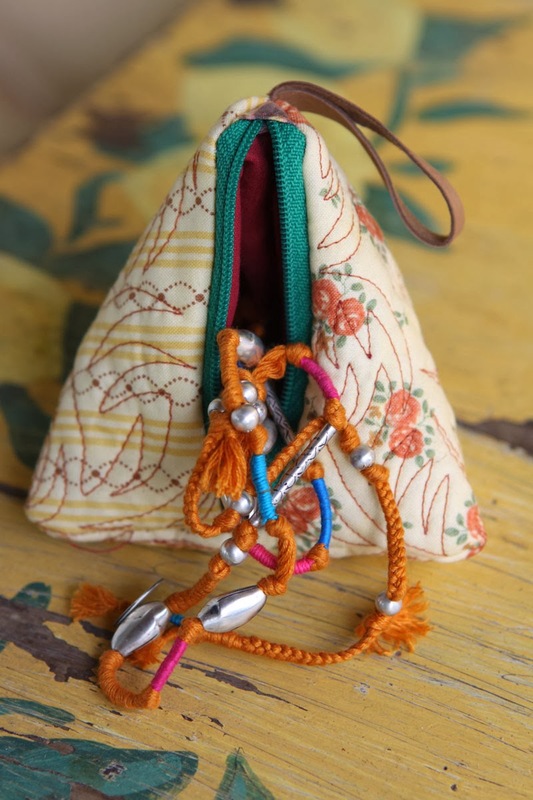 Lovely travel jewelry pouch!